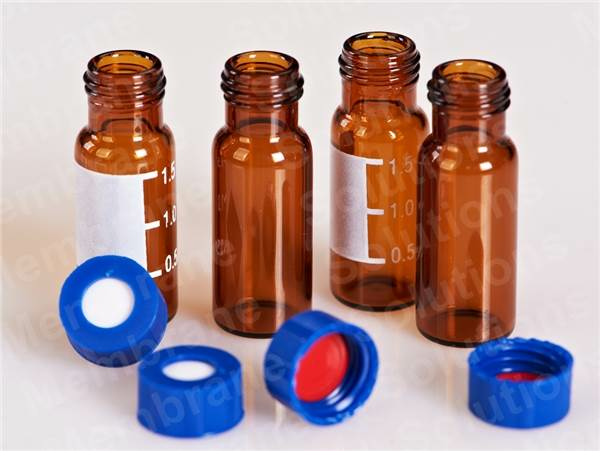 MS® HLPC GC Sample Vials provide advantages over the standard straight glass sample vials. The flared end of the vial makes loading a liquid sample much easier since the flare helps guide the syringe needle into the vial. 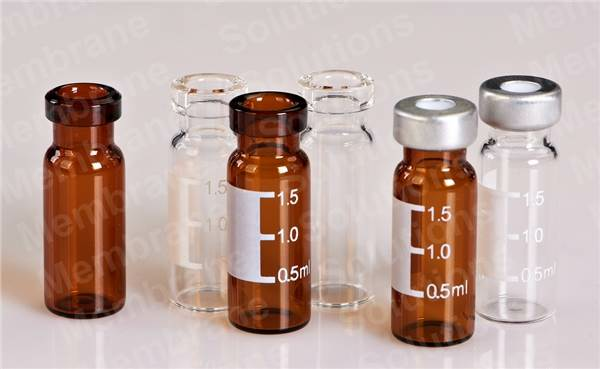 The flared end also makes the vial much stronger so that vials can easily be inserted and removed from the end of the probe using tweezers without breaking the glass.